Two Happy, Crazy Mormons: Happy Birthday, dear Andy! June 9th was Andy's twenty(cough)th birthday. Being that we are currently those "living from paycheck to paycheck" people, and his birthday (unfortunately) fell at the end of a long stretch between paychecks, we played it pretty low-key this year. Last year, for Andy's birthday / our going away party, I designed a special cake wreck just for Andy. He likes Star Wars, and it's kind of a joke between us, since I don't really care at all for the series, but when he asked for a Yoda cake, I had to oblige. "May the 4's Be w/ Yinz"
I made it without consulting any actual image of Yoda, and I was kind of disappointed. It just wasn't all that ugly!! 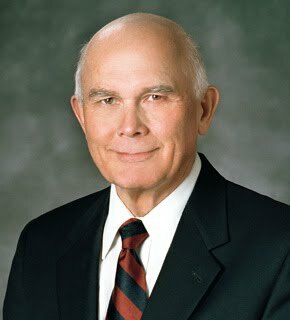 It did bear a resemblance to Elder Dallin H. Oaks, though . . .
Little Sidera was enjoying her first "big girl bottle" (no worries, fellow Mormons--it's only ginger beer!). We've been very self-conscious about having people over to our tiny, poorly furnished apartment, and so we haven't done it much, but it's something we've missed. It was nice to be surrounded by great people, and to just enjoy the good times. Thanks, Hannah, Spencer, Sidera, Neal, Cristy, Lisa, and Joseph for coming out! We love you guys. So, happy birthday to Andy! Those cakes are amazing. I'm especially impressed by the Yoda one. And the cake-wreck blog is hilarious!